Leverkusen - Bayer 04 Leverkusen flew out to South Korea on Monday afternoon as they step up their preparations ahead of the new Bundesliga season. Die Werkself, who finished fourth in Germany’s top flight last term, are due to spend five days in the Far East and will take on Heung-Min Son’s former club FC Seoul at the World Cup Stadium on Wednesday afternoon (kick-off 12:00 CEST). After holding a press conference at the World Cup Stadium, Roger Schmidt will put Son, Seung-Woo Ryu and Co. through their paces in their first training session of the tour on Tuesday. Schmidt’s side will also visit the Bayer Korea mall in the South Korean capital, as well as the adidas football pitch in the Youngsan District of Seoul during their stay. 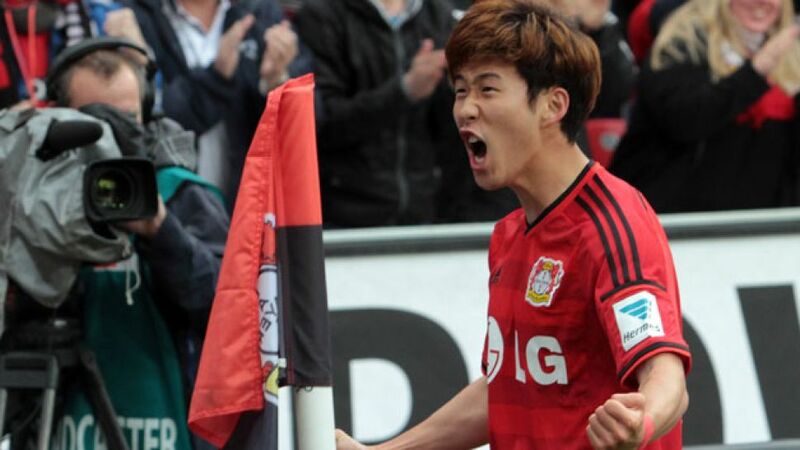 “Football is huge in South Korea, so we’re looking to make a great impression while we’re there,” Son told bayer04.de. Despite returning from their respective ankle and knee ligament injuries against Alemannia Aachen on Sunday, defender Ömer Toprak and forward Robbie Kruse have both been left at home by Schmidt. Emir Spahic and Josip Drmic have also been handed an extended summer break following their exploits at the 2014 World Cup earlier this summer, while will also remain in Leverkusen to work on his fitness.